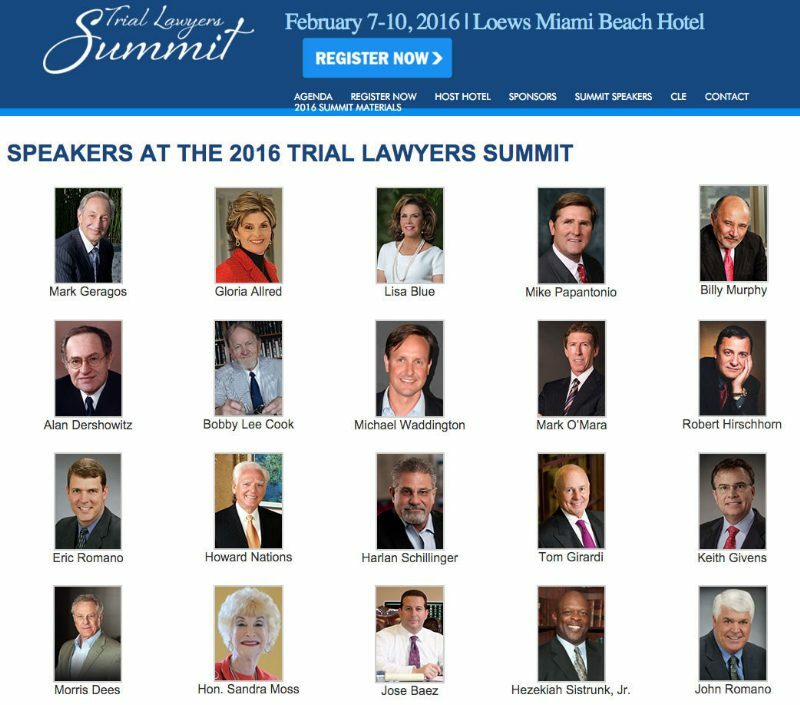 MIAMI, Feb. 15, 2016 /PRNewswire/ — Attorney Michael Waddington was a featured speaker at the prestigious 2016 National Trial Lawyers Summit, held at the Loews Miami Beach. His lecture was based on his best selling book, The Art of Trial Warfare: Winning at Trial Using Sun Tzu’s The Art of War. Additional speakers included: Mark Geragos, Gloria Allred, William H. “Billy” Murphy, Alan Dershowitz, Bobby Lee Cook, Mark O’Mara, Lisa Blue, Jose Baez, and others. 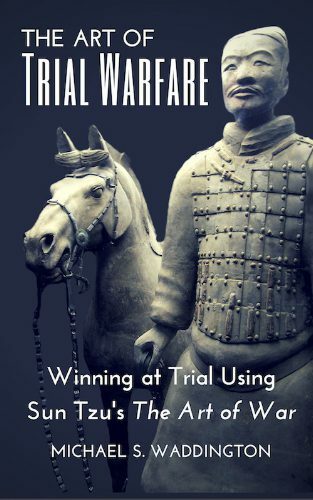 Using Sun Tzu’s revered The Art of War as a point of inspiration and reference, Michael Waddington offered up bite-size pieces of advice, snippets of strategy, and countless nuggets of wisdom he’s accumulated over hundreds of trials. In his lecture, Waddington addressed the habits of a successful trial attorney and discussed the art of attack, exploiting an opponent’s weaknesses, and how to leverage each success in order to win a case against overwhelming odds. The conference had outstanding networking opportunities and started with a Super Bowl 50 Kick-Off Party, continuing with keynote speaker NFL legend Terry Bradshaw at The Trial Lawyer Awards & Recognition Luncheon, followed by the President’s Reception with live music by four-time Grammy Winner Pat Benatar and Neil Giraldo and wrapping up with the Fat Tuesday networking reception. He is a partner in the law firm of González & Waddington, LLC and his practice focuses on defending military service members at court martial and administrative separation boards. He has successfully defended military personnel in Europe (Germany, Italy, England, Spain), the Middle East, the Pacific (Hawaii, Korea, Japan), and throughout the United States.